Russian security research firm Elcomsoft has reputedly hacked Nikon's Image Authentication system. 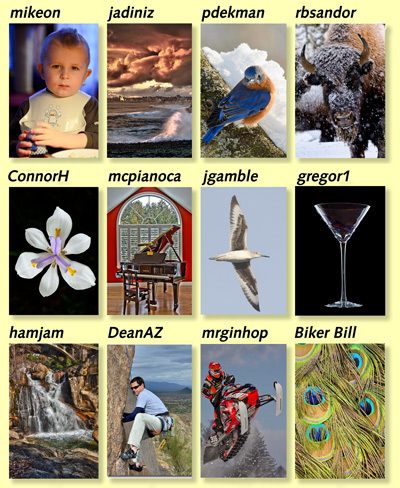 Specific Nikon digital cameras write a special key or code to each photo they take. 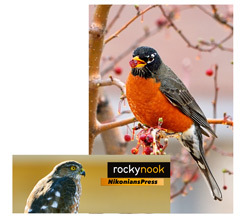 With a special software and hardware solution from Nikon, users can confirm if the photo has been altered since capture. This validation process is valuable to law enforcement, military and other agencies that rely upon authenticated digital photos in order to document evidence and circumstances that will stand up to judicial scrutiny. In 2010 Elcomsoft reputedly also hacked Canon's equivalent system called OSK-E3. As of the time of this publication, the research firm had not received responses from either manufacturer regarding their discoveries. Spring Sale: Photomatix HDR now 25% Off! Back by popular demand, Photomatix is again offering Nikonians Silver, Gold and Platinum members an exclusive 25% discount on the award-winning HDRSoft high dynamic range processing program! This offer is for a limited time only and ends in June 2011. All Photomatix program owners are also eligible for free upgrades for at least one year, so your software investment grows as more improvements and innovations are added. Grab your copy today, and remember, Nikonians Membership has it's rewards. Our own Martin Turner puts the LowePro X200 Roller Case through it's paces. "For when you need to move the maximum amount of kit around without calling attention to yourself, destroying half the things around you, or looking like you are working for the military, the Lowepro X 200 Pro Roller may well be the ultimate bag." With tailor-made Nikon camera profiles, Capture One is the RAW converter for Nikon photographers. This week, Phase One released Capture One 6.2, a free upgrade for Capture One 6 owners, which includes new benefits for Nikon shooters. OnOneSoftware brings the power of Layers to LightRoom with a free Public Preview of Perfect Layers! In addition to adding Layered File Functionality to Lightroom, Perfect Layers also provides Masking Brushes, a multiude of Blending Modes, and the MaskingBug applet from PhotoTools 2.6 to create smooth gradient masks. The program can also be used in conjunction with Adobe Bridge and Apple Aperture. The Public Preview is available for free at OneOneSoftware and expires on June 30th, 2011. The production version is expected to be delivered mid-2011, as a standalone product for USD159.95 and as part of the Perfect Photo Suite 5.5. After an April 13th mis-step, Nikon officially announces their refresh of the classic 50mm f1.8, now with Silent Wave motor and an Aspherlcal element. The new lens will be available on June 16th, 2011 at the MSRP of USD219.95. The warmer weather is making room for some great nature-oriented outings. 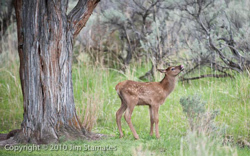 At the end of May, Jim Stamates is running his incredible Wildlife Adventure in Grand Teton NP and Michael Mariant's Giant Redwoods of Northern California workshop is coming June 23-26. Make sure you have a look at his video! At this time Michael is getting ready for his 20 day, seven country, 11 ports-of-call Ultimate Travel Workshop: Central America & the Panama Canal launching on Wednesday. Bon Voyage! Meanwhile, Steve Simon is taking the his most popular series of workshops to Chicago (starting May 7th) and Winston Hall's Moab, UT Photo Adventure is set to begin on May 10th. Make sure you have a look at the Nikonians Academy calendar to see if you have a workshop coming near you. Our corporate sponsor Roberts Camera continues their sizzling sales by slashing prices on the versatile Tamrac 3536 camera bag. Normally USD45.00, Roberts has it on sale for USD29.97, but stock is limited so get yours today. The Tamrac 3536 can fit an SLR body with a 5.5" lens mounted, an additional lens, small flash and accessories. The shoulder bag features a Speed Pocket for quick access to small items and protective foam padding that adjusts to custom fit your equipment. The bag is available in stylish Black. According to the calendar, it's only Spring, but it might as well be Summer, because the sales are sizzling hot at our corporate sponsor Roberts Imaging. They've got the insanely popular Nikon D7000 (body-only) on sale for USD1299.97. Equipped with NIkon's latest 16MP imager CMOS, a high ISO up to 25,600, 1080P video and the new 39-point autofocus system, the D7000 is the cutting edge in digital SLR technology. But supplies are limited, and this sale won't last forever, so get yours at Roberts Camera today! If you invite a friend to join Nikonians, you will get one additional month on your membership for each new Nikonian and the new member gets 5% discount on the membership. Start inviting today using the invitations tab in your user menu and make both yourself and your friends happy(ier)! 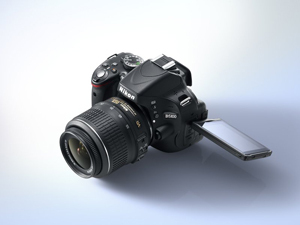 Nikon has released the 2.2.7 update to Capture NX2. Support for RAW images captured with the D5100 has been added. In some rare cases, when the Highlight Protection function under Quick Fix in the Develop section of the Edit List was applied to RAW images, edges around highlights were darkened. When the Image Dust Off function under Camera & Lens Corrections in the Develop section of the Edit List was applied to reduce reflection of dust on the image sensor in images, the results of this dust reduction were sometimes noticeable. When RAW images captured with the camera’s auto distortion control function enabled were opened, or the Auto Distortion function under Camera & Lens Corrections in the Develop section of the Edit List was set to Automatic for a RAW image, Capture NX 2 sometimes quit unexpectedly. RAW images sometimes could not be opened, or, when attempting to open a RAW image, Capture NX 2 sometimes quit unexpectedly. When an image was saved with Capture NX 2, time of the Date Created information recorded to Exif data was sometimes not correct. This issue has been resolved. We've finished up a busy week at the Nikonians Academy. Mike Hagen, our director, was in LA running sold-out workshops hosted by Samy's Camera and Michael Mariant led a group of travel photographers through the beautiful Big Sur region of California. Workshop attendees have nothing but good to say about the classes and are learning to take incredible images. You are running out of time to sign up for Steve Simon's workshops in Montreal Quebec April 21-24th. He's running Master the Nikon D7000, D90 & D80, Master the Nikon D300/D300s In Depth, The Passionate Photographer and Master the Nikon D700 & D3/D3s/D3x In Depth. Don't delay. Also, for those of you in Chicago, Steve will be running this same series of workshops from May 7th - May 10th. At the end of May (5/23 - 5/26), Jim Stamates is running his incredible Wildlife Adventure in Grand Teton NP. Join Jim, one of North America's most prolific wildlife photographers, as he guides you directly to Grand Teton's best areas for wildlife. Our corporate partner Roberts Camera is now accepting pre-orders for the newly announced Nikon D5100 Digital SLR. The USD 899.97 camera kit comes with the versatile 18-55mm f3.5-5.6 AFS VR. A USD 799.97 body-only kit is also available. Spring is here and the great outdoors are calling. We have two wonderful adventures in May that appeal to the landscape photographer and the wildlife photographer. The first is Winston Hall's Moab, UT Photo Adventure from May 10 - May 13 and the second is Jim Stamates' Wildlife Adventure in Grand Teton NP from May 23-May 26. 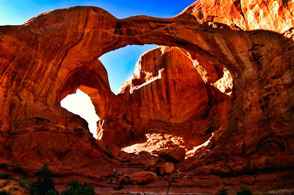 The Moab workshop will photograph some of Utah's most amazing scenery - locations like Delicate Arch, Arches NP, Mesa Arch, Buck Canyon and more. The Wildlife photography workshop in Grand Teton will concentrate on all the new baby animals born in the spring such as elk, moose, bear, wolves, beaver, owls. Steve Simon is bringing a four day workshop series to Montreal, Quebec from 4/20 - 4/23. He'll be teaching Master the Nikon D300/D300s In Depth, Master the Nikon D7000 D90 and D80, Master the Nikon D700 & D3/D3s/D3x In Depth as well as his famous and popular Passionate Photographer workshop. After Montreal, Steve heads over to the Windy City (Chicago USA) to run the same workshops from May 7 - May 10. Our newest instructor Lester Picker has put together a fantastic adventure to the Yukon this August. Imagine photographing grizzly bear, foxes, giant mountain ranges and old ghost towns, all while staying at wonderful lodges and eating great food. One of the highlights of the trip will be photographing the Northern Lights above the grand landscape. You're going to love it! Nikonians Academy Europe - Learn to shoot portraits, birds and nudes! We have several new, interesting workshops available for our members in Europe. Check out the latest workshops on how to shoot digital portraits, learn how to shoot weddings, and how to shoot artistic nudes for a full five days. Fellow Nikonians it´s time to see who is the winner of the SP AF 17-50mm f/2.8 Di II XR VC LD Aspherical lens sponsored by Tamron USA. On Saturday (April 2) an amazing amount of Nikonians Image Doctors fans participated in the random drawing. To be honest, we expected a large amount of people entering, but you surpassed our expectations. It was awesome to see how many people have followed the podcasts. Thank you all! Unfortunately this also had a result which we did not expect. With so many people jumping in at the last minute-- our server systems (even after being tested) eventually crashed. We are very sorry that a few of you did not come through to enter your comments. This being said, we decided not only to take those into consideration who entered in time, but also all who got posted a little bit later. This seemed to be a fair and reasonable approach since the system did need more time to handle the buzz. For the drawing we took the my dear colleague Lena and the app "random number" based in the iPhone App "AppBox Pro". As a result the lucky winner of the Tamron 17-50mm Lens is Doug Ford. Doug is from Golden Valley, Minnesota. He is a journalist and photographer, formerly a software development manager. His avocations are bicycling, Civil War history, and cocktail history. Cocktail history seems to have a higher priority since his website https://cold-glass.com is all about cocktails from all over the World. Congratulations from the Nikonians Marketing department. Two years ago we marveled at the new Nikon D5000- - and now the D5100 emerges as a worthy successor. Nikon has announced not only a more versatile version, but also a much needed accessory as we explore the possibility of handling a shooting challenge that allows us to take the still shots, shoot high definition video with autofocus abilities plus add quality sound. And the good news is-- the price is seriously competitive! "The Nikon D5100 is designed with features for the user who is looking for an advanced camera that can keep pace creatively with features like a new vari- angle 3” LCD and the new 'effects mode' to let the user create fun effects that are both applied to photos and videos." For details-- Check out the complete Press Release and Nikon's specs. 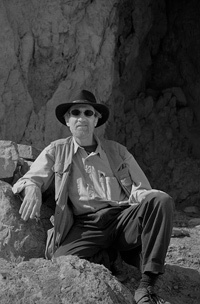 Nikonians Academy Director Mike Hagen has announced an expansion to the staff (and that – as we all know from past experience) means new workshops and photo opportunities are in the works. It has been a big week here at the Nikonians Academy as we are rolling out new workshops, new locations and a brand new instructor. I'd like to formally welcome our newest instructor, Les Picker. His first workshop for us is a 7-day adventure to the Yukon for a photo trip you won't ever forget. 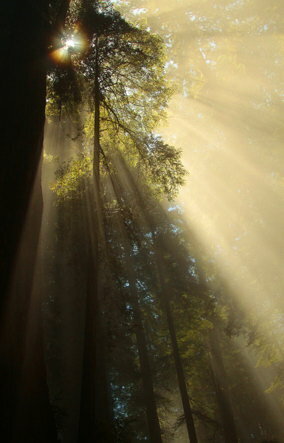 Les is a professional photographer from the East Coast of the USA and specializes in nature/adventure photography. His photo workshop to the Yukon is truly going to be amazing. 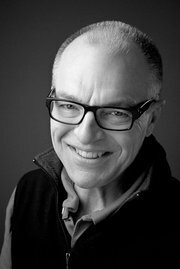 Like all of us at the Nikonians Academy, Les shares our passion for beautiful photography and well-designed trips. On this trip you'll be photographing grizzly bear, amazing mountain scenery, the Northern Lights and Gold Rush ghost towns. Les has managed to pack in an incredible journey into seven days. You're going to love it. 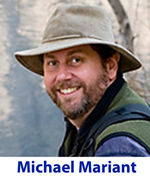 Michael Mariant's travel workshops are filling quickly and we have just a few seats remaining for his Big Sur, CA trip on 4/14/11. This photo adventure will travel the legendary US Pacific Coast Highway in search of dramatic vistas, surging ocean wave, giant waterfalls and gorgeous sunsets. Michael has posted an enhanced description here. Also, Michael has added a Virtual Video Tour description for his Giant Redwoods of Northern California workshop. For the video, head over to our forums. Winston Hall has added a brand new schedule for Summer and Fall that will bring our most popular workshops to Moab, Seattle, Dallas, Austin, Indianapolis, Page, Albuquerque, Denver, Chicago, Raleigh and Vegas. You don't have much more time to sign up for his workshops in Colorado Springs, CO April 6th - April 9th. 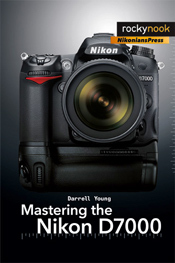 In fact, his D700/D3/D3s/D3x workshop has only 3 seats remaining. I will be in Los Angeles, CA April 14-18 running Nikonians Academy workshops at Samys Camera. Day one is sold out, but we still have seats available for D300/D300s Advanced, D700/D3/D3s/D3x In Depth and iTTL Wireless Flash. Steve Simon is also rolling out new workshops all around the USA and Canada as well. His most recent workshop is set for New York, NY from June 16th - 19th and he also has a special series scheduled for Montreal, Quebec April 20 - 23. Sign up for these workshops here. For those of you aspire to photograph wildlife in a North American iconic landscape, check out Jim Stamates' 4-day spring wildlife photography trip to Grand Teton National Park. Spring is the best time of year to photograph baby animals, so we'll be looking for baby elk, owls, bear, wolf and everything in between. Good news - Nikon has announced the restart of production among the impacted Sendai manufacturing plants, although levels will be hampered by the lack of consistent electricity and the unknown factors of component supply. Last week, Nikon also provided it's expertise to the recovery efforts by donating a thousand compact digital cameras and flash cards (models unspecified) as well as two hundred binoculars. Those optical items will be used to document damage and aid in finding survivors.